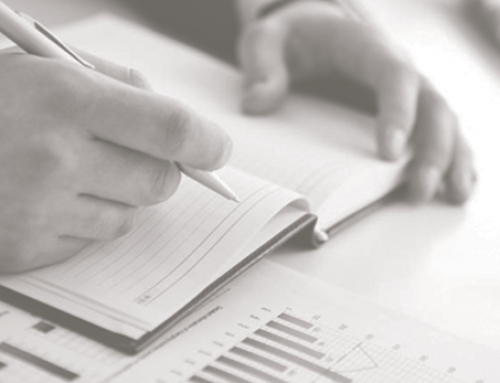 Megaprojects may inspire, but they are often overly expensive and time consuming. The newly opened eastern span of the San Francisco-Oakland Bay Bridge is a classic example of a megaproject at $6.4 billion and a textbook embodiment of what I have identified as the “six Cs” of a typical megaproject: colossal, captivating, costly, controversial, complex, and subject to issues of control. Here, I focus on how the “captivating” and “colossal” characteristics affected the bridge design process and implementation. Captivating and colossal projects engage and stimulate participation by a broad set of stakeholders and citizens, whose varied perspectives and inputs can be difficult to accommodate without controversy and conflict. Historian David Nye similarly considered these characteristics emblematic of pursuit of what he termed the technological sublime. The technological sublime inspires feelings of “awe and wonder, often tinged with an element of terror, which people have had when confronted with particular natural sites, architectural forms, and technological achievements,” like the Grand Canyon, the Empire State Building, and the first transcontinental railroad. In addition to the typical wrangling between actors over specific interests, the pursuit of this feeling of the sublime explains many underlying motivations and rhetoric behind the design process for the eastern span. The period I examine for the new bridge runs from 1997 to 2005, when the major design decisions leading to the final form of the project were made. Captivating and colossal projects engage and stimulate participation by a broad set of stakeholders and citizens, whose varied perspectives and inputs can be difficult to accommodate without controversy and conflict. The Bay Bridge’s eastern span from Oakland to Yerba Buena Island partially collapsed during the 1989 Loma Prieta earthquake. The state of California, which owns and operates the bridge, decided to replace it rather than repair it, since this would give the bridge a longer life and require less maintenance. Governor Wilson and the state Department of Transportation proposed replacing the bridge with a simple viaduct, a long towerless roadway. This offended local architects, planners, engineers, and elected officials who mocked the concept as a “freeway on stilts.” As a result, the state left decisions on bridge design to the Metropolitan Transportation Commission (MTC), the Bay Area’s transportation planning and financing agency, charging it with addressing these aesthetic concerns. Thus the pursuit of the sublime began, and the Bay Bridge started on its path to becoming a megaproject. The new east span’s design evolved during two cycles of intense public debate. During the first “Regional Mega-Landmark Phase” (1997 to 1998), MTC selected the east span’s design. Following the first phase were six years of contentious debates (1998 to 2004) filled with controversy over staggering cost increases and whether the span would be located north or south of the existing bridge. In the next “State Tinker Toy Phase” (2004 to 2005), the state advocated exchanging the tower under construction with another design. 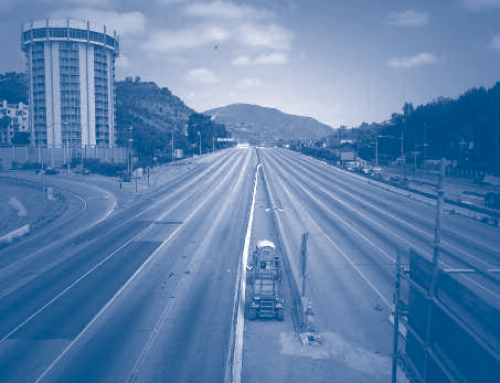 From mid-1997 to the end of 1998, MTC and Caltrans held more than 30 meetings, which drew spirited participation from the attendees. The design review criteria that emerged included not only seismic safety components, but also architectural specifications with landmark ambitions, to complement the “elegant” and “graceful” west span, and to compete with the new bridge’s chief rival for iconic status, the Golden Gate Bridge. The Task Force and EDAP first reviewed proposals solicited from a large pool of expert bridge engineers and architects. Later, the field was reduced to two teams within one firm. Most tower designs proposed one or two towers near Yerba Buena Island connected to a long viaduct running to the eastern shore. A single-tower, self-anchored suspension design won EDAP approval in 1998. Both designs were estimated to cost roughly the same and to have the same seismic resistance. But later interviews with EDAP members revealed that their decisions were also shaped by subjective aesthetic considerations to achieve Nye’s technological sublime. The suspension design, they said, echoed both the Bay Bridge’s west span and the Golden Gate Bridge, but with a modern flair. The asymmetry of the single tower also placed the main support closer to the solid ground beneath Yerba Buena Island. Local elected officials on both sides of the Bay also expressed almost immediate opposition to the single-tower suspension design. East Bay officials wrote to MTC: “[the] design process has not produced a world class design that establishes a sense of gateway and place for the East Bay. The East Bay communities expect and deserve a world class design that is oriented towards people and provides quality public access and amenities.” The San Francisco Chronicle and the San Francisco Examiner both suggested delaying the decision in order to reconsider design options. MTC and Caltrans responded to criticism by stating that the Bay’s geology dictated the bridge design and tower location. 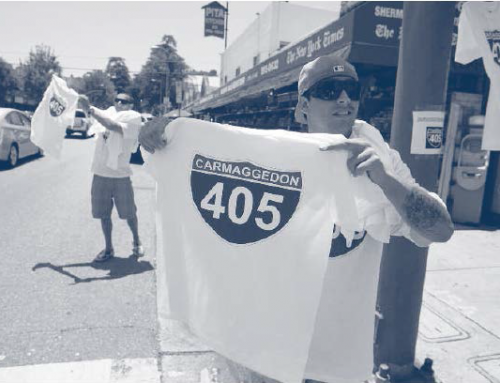 In addition, they argued that it was necessary to move quickly on construction and that further delays would expose more motorists to the risk of a catastrophic seismic event. After much debate, MTC approved the steel single-tower, self-anchored suspension span at a cost of $1.5 billion. Caltrans, the lead agency charged with overseeing the actual construction of the bridge, conducted the environmental review from 1998 to 2001. 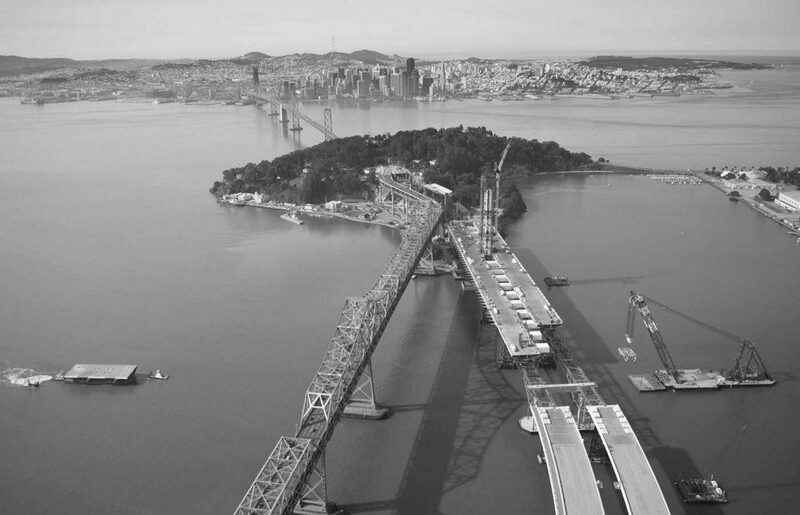 It was contentious and drawn out because of disputes over the bridge’s location and the perceived impacts of the new east span on Yerba Buena Island’s future development. As Caltrans entered into construction contracts, the bridge’s costs rose significantly. In 2004, Caltrans opened bidding for the tower, the bridge’s last major component. The single bid for the tower, with estimated costs between $1.4 billion and $1.8 billion, was twice Caltrans’ original estimate of $750 million. The bridge’s total cost had increased to $5 billion, which Caltrans attributed to rising steel and construction costs, greater-than-anticipated staffing needs, and a longer-than-expected project construction schedule. 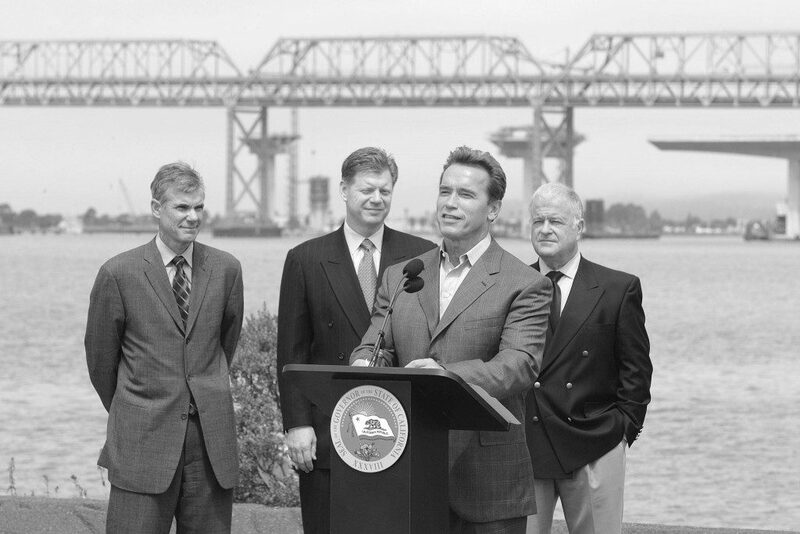 In 2005, after several technical studies, including a review of cable-stayed tower options, Governor Schwarzenegger signed legislation to construct the east span with the originally selected suspension tower. 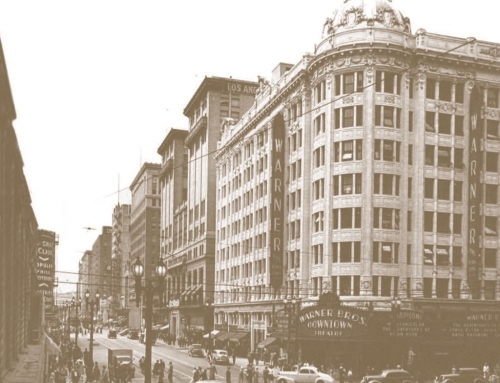 The Bay Area was responsible for covering much of the capital costs through toll increases and refinancing. The Bay Area also agreed to assume major oversight responsibilities for the state-owned toll bridge program. The new tower’s contract was awarded to a joint venture between the American Bridge Company and Fluor Enterprises in 2006, nearly two years after the original bid. The east span’s price tag was $6.4 billion, a far cry from the $1.5 billion replacement estimate in 1998, and even further from the $250 million retrofit estimate in 1996. 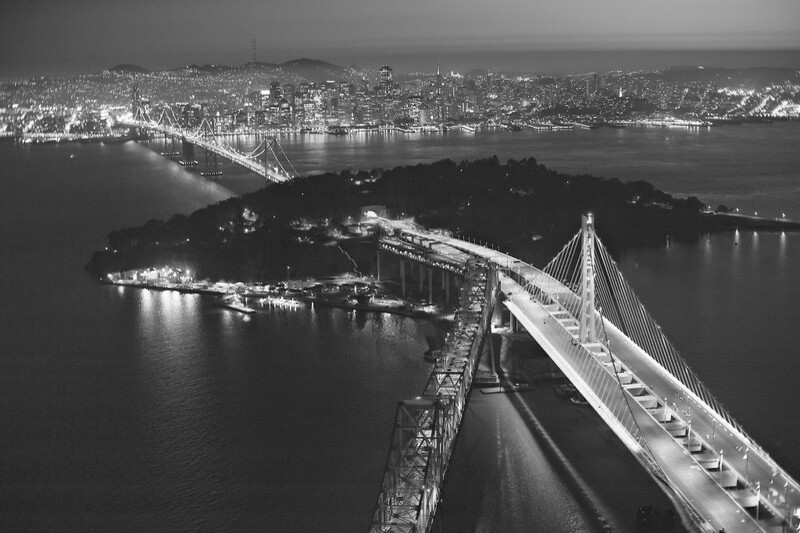 The new Bay Bridge raises several important considerations for policy analysts of megaprojects. First, as governments plan future megaprojects, it is important to recognize that the pursuit of the technological sublime may derail public processes and negatively affect a project’s design, budget, and schedule. 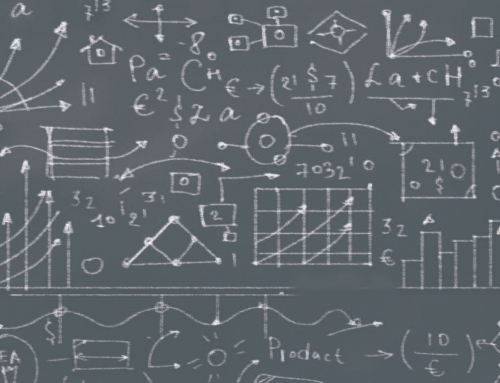 Participants may be blinded by an overly optimistic belief that design and engineering can overcome the technical complexities and risks associated with implementing large-scale projects. Yearning for the sublime, however, can also fuel creative solutions and stimulate public involvement because of the visionary nature of the project. Second, the Bay Bridge case calls into question the appropriateness of using public money to fund aesthetics. 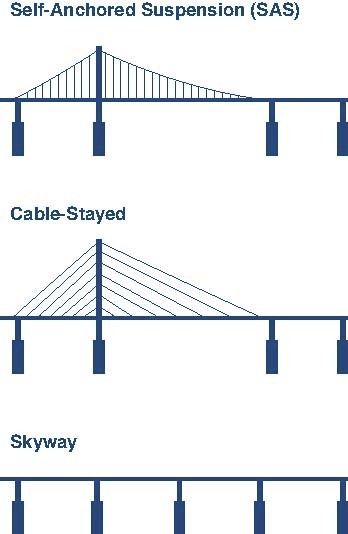 The Bay Area elected to construct a signature bridge at a higher cost rather than a utilitarian viaduct. The region’s choice generates a set of interesting policy questions for megaprojects, as well as other publicly funded projects in general. Should the government invest in aesthetics beyond the basic design of such a project? Is it reasonable to argue for an aesthetic value in simplicity and cost minimization? Should the agency paying the basic costs have the full responsibility for the extra aesthetic costs, or should agencies that benefit from the imagery bear the additional cost? Further, if costs increase, how do agencies cover these additional costs? 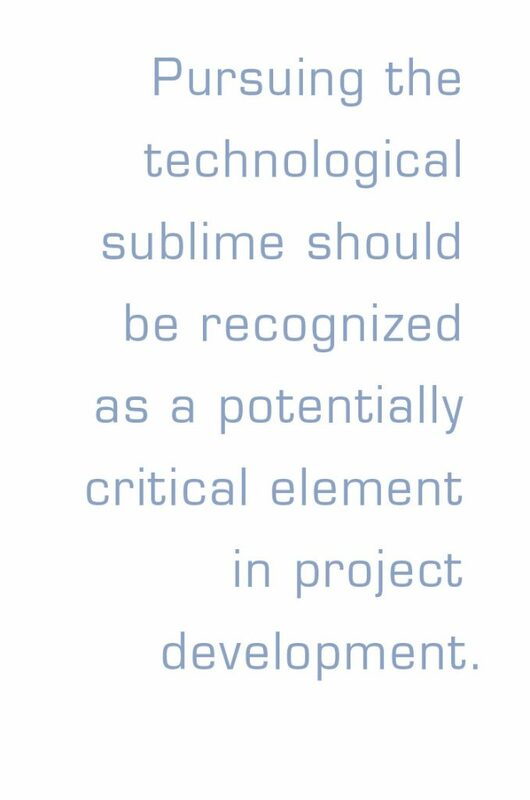 Overall, pursuing the technological sublime should be recognized as a potentially critical element in project development, whether or not the designs result in enduring landmarks and engineering marvels. As the Bay Bridge case reveals, the quest for the sublime provides participants with the personal motivation and interest to engage in the process. Agencies should acknowledge, however, that pursuit of the sublime can create unpredictable and chaotic processes, turning projects into megaprojects. This article is adapted from “The Cost of the Technological Sublime: Daring Ingenuity and the New San Francisco-Oakland Bay Bridge,” originally published in Decision-Making in Mega-Projects, Cost-Benefit Analysis, Planning and Innovation. Alan Altshuler and David Luberoff. 2003. Megaprojects. The Changing Politics of Urban Investment, Washington, DC: Brookings Institution Press. Bent Flyvbjerg, Nils Bruzelius, and Werner Rothengatter. 2003. Megaprojects and Risk: An Anatomy of Ambition, Cambridge: Cambridge University Press. Karen Trapenberg Frick. 2005. 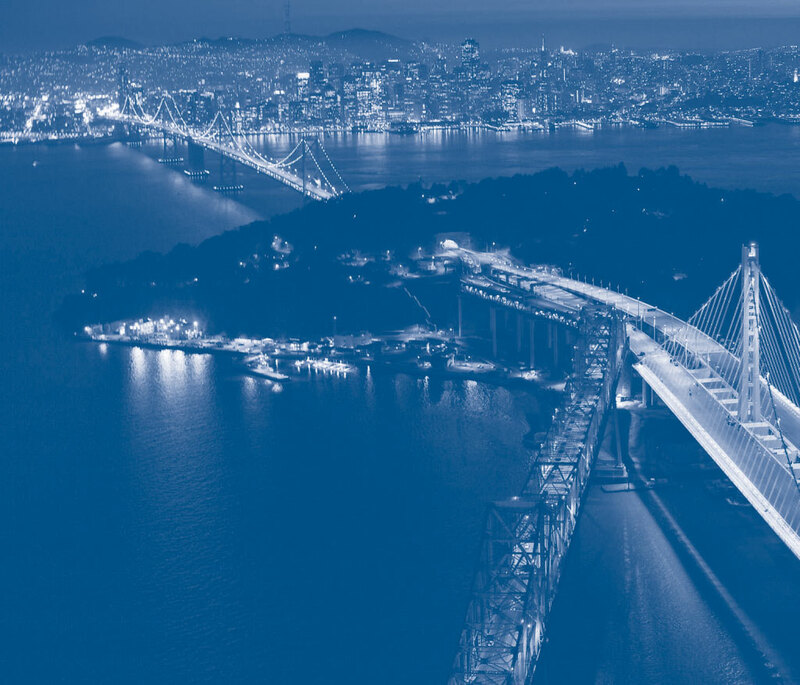 The Making and Un-Making of the San Francisco-Oakland Bay Bridge: A Case in Megaproject Planning and Decisionmaking, Doctoral Dissertation, University of California, Berkeley. Karen Trapenberg Frick. 2008. “The Cost of the Technological Sublime: Daring Ingenuity and the New San Francisco Oakland Bay Bridge,” Decision-Making on Megaprojects: Cost Benefit Analysis, Planning and Innovation, edited by Hugo Premius, Bent Flyvbjerg, and Bert van Wee: 239–262. Cheltenham: Edward Elgar.